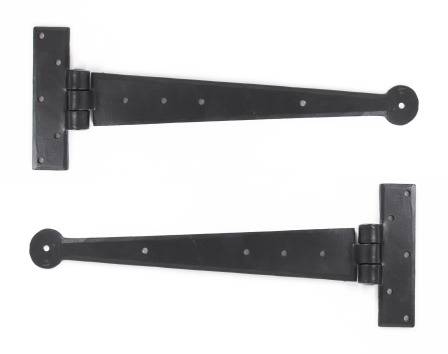 The hinge knuckle is fashioned in the traditional way and is very strong. This pair of 12" T Hinges has a penny round end and is used on Airing cupboards, wardrobes etc. Sold in pairs and supplied with necessary fixing screws.